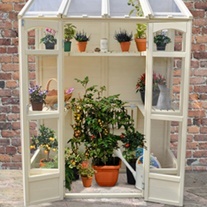 A greenhouse is the perfect place to nurture your plant life and provide the best growing conditions possible. 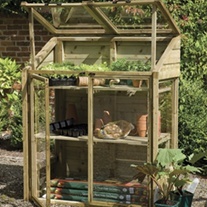 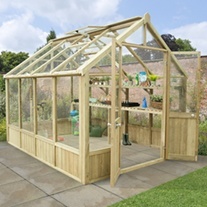 Our range of greenhouses is made in the UK using FSC sustainable timber and features a 15 year anti-rot guarantee. 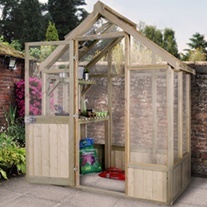 Prices quoted for the full size Vale greenhouse range include delivery and fitting. 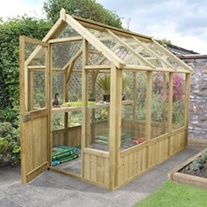 Simply lay a base for your new greenhouse, then place an order and you'll be contacted to arrange delivery and installation.